Note: This post was originally published in 2016, and was updated in June 2018. Advance your plot: bad stuff may well need to happen in order for your heroes to get to (and earn) their happy ending. Often, some degree of suffering is what drives the plot: the protagonist is unhappy with their life as-is and wants to change things. Deepen or reveal character: either we see who someone really is when they’re hurt (someone who seemed a bit of a wimp turns out to have hidden strength; someone who was nice on the surface reveals a vindictive side) … or it’s part of their character arc. Any and all of your characters can get to suffer: heroes, villains, and those with walk-on parts. The main difference is in how the reader will respond. Our natural reaction to seeing someone hurt or in pain is to feel sympathy towards them. If they’re a particularly nasty character, though, we might well feel they’re getting their just deserts. The more awful they are, the less likely we are to feel sorry for them – even if their suffering is pretty extreme (think Ramsay in Game of Thrones, for instance). If a minor character suffers, the importance of this may well be how the hero (or villain) responds: do they help? Are they distressed? Amused? Indifferent? Introducing someone who’s in some kind of pain can also be a good way to instantly get the reader’s sympathy. There are some fairly obvious ways to hurt your characters: physical violence being pretty high on the list. However, that won’t always suit your novelistic purposes (sure, you could break your protagonist’s legs, but that may make the rest of your story fall apart) – and it’s not appropriate for every genre. Keep in mind, too, that suffering and misery alone aren’t going to make for a very interesting story: what’s important is how these alter the characters and the plot (generally, if something’s impacting one of those, it’ll impact the other). If you’re a bit stuck for ideas, though, or you feel like your characters should go through a bit more misery but whacking them around in a fight isn’t going to quite cut it … here are different ways to make your fictional people suffer. This is not, I suspect, an exhaustive list – please do add your ideas in the comments! I’ve split these into “physical” and “non-physical” (though obviously there’s an overlap in many cases); other than that, they’re not in any specific order. As any parent of small children can tell you, this can be pretty horrific! 😉 It brings together physical exhaustion and emotional/mental difficulties too, so it could be a handy one to go for if you’re avoiding outright violence, or if you want something more emotionally draining than purely physical pain. The cause of the sleep deprivation is (or should be!) significant; if nothing else, these will impact on how the character feels about it (and how easily they can solve it). A young baby? A snoring partner? Insomnia? Deliberate torture? Handy for: plot complications (character may be unsafe to drive, operate machinery, etc); seeing who a character is / how they respond under pressure. Example: Season 4 of Dexter begins with Dexter and his wife Rita pretty sleep deprived due to baby Harrison crying at night – this kicks off the plot as Dexter accidentally brings the wrong file to court, resulting in a violent killer going free. A character who’s hungry has a very basic, pressing need to fulfil. This might be a temporary situation (they’re stranded somewhere with no food and possibly no water) or a more ongoing form of suffering that drives the whole plot. Handy for: pushing characters into making tough decisions (anything from “steal to feed a child” to “resort to cannibalism”). Example: In The Hunger Games, by Suzanne Collins (as you might guess from the title) hunger drives the plot. Teenagers compete in annual “hunger games” to win food for their communities. Any long-term physical health condition could impact on (quite possibly drive) the plot. It doesn’t necessarily have to have a constant presence: for instance, if a character occasionally suffers strokes or migranes, that could be a source of stress and conflict but not something that limits them at every moment. It could be anything from minor to debilitating. Handy for: (if the condition exists from page one) limiting a protagonist who might otherwise be too powerful or succeed too easily; (if the condition arises during the novel) forcing a protagonist to come to terms with the loss of their hopes or dreams – or even to face their own mortality. Example: One of the main characters in Linda Green’s And Then It Happened ends up in a coma, due to a head injury, part way through. While it felt awkward to count this as “suffering”, pregnancy will at least limit a character – morning sickness and exhaustion in the first trimester; increasing size and tiredness in the third. There’s also the possibility of an unwanted pregnancy, and how your character reacts – which quickly shades into more mental types of suffering. In some romance novels, pregnancy (particularly accidental pregnancy) can be a source of conflict and story tension. Handy for: other characters’ responses (e.g. concern for pregnant character and unborn child); racking up the tension for the reader if the pregnant character ends up in a dangerous situation; possible drama surrounding any complications, or simply the labour and birth. Example: Intelligence operative Angela Burr in The Night Manager is pregnant with her first child – this doesn’t have any particular dramatic impact on the plot, but does make her more potentially vulnerable, particularly as she gets more involved in the action towards the end of the series. A broken leg or arm, or a serious wound, can limit a character’s actions for a fair amount of time. These aren’t necessarily going to cause continuous pain (a broken limb will be very painful in the immediate aftermath, but assuming it’s treated and the character has painkillers, it’s going to be more like an inconvenience than a source of agony). 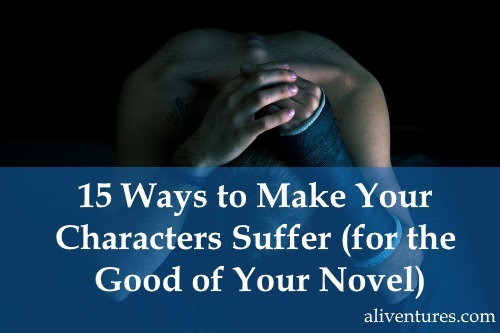 Handy for: keeping a character on the sidelines during a particular part of your plot; other characters’ reactions to the injured one; how the character reacts to having to rest and recover; initial drama and conflict as the injury gets seen to. Example: In The Accident Season, a YA novel by Moira Fowley-Doyle, various characters suffer injuries – when the story opens, Cara (the narrator) has sprained her wrist, and her older sister Alice has fallen down the stairs. This doesn’t have to be minor (it might well be life-threatening), but it should be resolved fairly quickly with minimal lasting effects. E.g. if someone has lost a lot of blood, they could be bandaged up (and possibly treated in surgery) but back on their feet after a couple of days. Other short-term injuries might be painful (bruising, burns) but not incapacitating. Handy for: immediate pain and trauma; getting a character back into the plot quickly; potentially changing the relationship between the injured character and character(s) who help; works well in light/comic novels too. Example: In Off to be the Wizard, a comic speculative fiction novel by Scott Meyer, the protagonist Martin suffers a number of fairly amusing minor injuries, particularly in the early chapters. A character is – rightly or wrongly – imprisoned. The suffering here could simply be the loss of their freedom, or that could be compounded by other types of suffering (separation from their loved ones, being ill-treated or tortured, hunger…) If the incarcerated character is a more minor one, then the protagonist might be pushed to rescue them, particularly if they’re in danger or being used as leverage. Handy for: getting them out of the way; giving them time to reflect on how they’ve screwed up; furthering the plot (e.g. through their escape attempt); could easily be part of their character arc. Example: Tony Stark in Iron Man is captured by terrorists early on during the narrative: this is a hugely important moment in both his character arc and the plot of the whole Iron Man series: he invents the Iron Man suit in order to escape. The character is deliberately and repeatedly hurt (physically, but you can bring in psychological angles too) by another character. This is – at least ostensibly – usually for information but it could be a form of punishment … or, if your antagonist is particularly heinous, just for “fun”. It can potentially have a medical component: the torturer isn’t causing them pain for pain’s sake, but because they’re testing the character in some way. Handy for: making your villain pretty darn unredeemable; pushing good characters to their limits; blurring the moral lines (under what circumstances would the mostly-good guys torture someone? ); causing your protagonist a great deal of anguish if someone else is being tortured in order to break them. Example: Firefly’s Mal (Captain Reynolds) and Wash, in “War Stories” are tortured by bad guy Niska; significant primarily for the character development / interaction between them (and to some extent for other characters too, particularly the relationship between Wash and his wife Zoe). Money (as most writers notice at some point!) can be a massive source of stress. This can work for almost any character, however well-off – e.g. they lose all their money, or they go through an acrimonious divorce, or money is a serious source of relationship stress. Handy for: putting pressure on a relationship; forcing difficult decisions (especially if physical suffering – e.g. hunger – is on the horizon); conflict between characters. Example: The gulf between rich men and their (usually female) assistants, who are paying off student loan debt, kicks off drives the plot in The Assistants by Camille Perri. On its own, this isn’t necessarily a form of suffering – but assuming the character wanted or needed the job, then it’s likely to lead to financial or social difficulties. They may face a crisis of self-identity. If losing a job is a bit drastic, an explicit or implied threat to a character’s job can be a milder way of achieving some of the same effects. In children’s or YA fiction, expulsion from school, or the threat of it, can work in a similar way to an adult losing a job. Handy for: relationship problems (with spouse, former co-workers, etc); character blaming themselves; freeing up a character to have more time for interesting things than going to work every day! Example: A fairly large source of tension in Season One of Marvel’s Agent Carter is the gulf between Peggy Carter’s work in law enforcement and the highly illegal activities she’s undertaking on the side in order to protect Howard Stark (who she believes – rightly – is not guilty of the crimes he’s been accused of). Perhaps your character is rejected by their community, or is misunderstood or vilified. They might be at fault or they might be blameless – or perhaps something in between. The pain this causes could range from feeling a bit lonely to being devastated; if you’re writing something fairly dark, it could well lead to the character being hunted down and physically attacked. Example: In K.M. Weiland’s Storming, Hitch, the protagonist, returns to a close-knit community that he left years before – and there’s a lot of animosity towards him (particularly from his sister-in-law). One particularly effective, if horrible, way to make your character suffer is to kill someone they love. This might be part of the plot (the antagonist murders their best friend) or it might be part of the back story (their spouse is dying or has died before the story begins). Handy for: deep distress and despair; questioning of their purpose; potentially strengthening their resolve to succeed in reaching their goal. Example: Detective Jamie Brooke in Joanna Penn’s Desecration has a terminally ill 14-year-old daughter who passes away part-way into the novel: a huge source of grief for Jamie, but also a critical part of the plot, as the body is stolen. There’s a whole range of potential suffering under the broad umbrella of “mental illness” – depression, anxiety, eating disorders, drug addiction, PTSD, etc. You might have a protagonist with a backstory of mental illness – or your protagonist might have a friend or relative suffering with a particular mental health difficulty. I’m sure it goes without saying, but do approach these with a bit of caution and sensitivity. Handy for: starting off the novel with a character already facing a difficult struggle; introducing mental health problems part way as a result of traumatic plot events. Example: Jessica Jones, in Marvel’s Jessica Jones, is suffering from a form of PTSD (plus, if not outright alcoholism, at least alcohol abuse) from the first episode. I’m using this as a catch-all for types of suffering that might crop up in speculative fiction, horror, and some thrillers. Think psychic powers or super-powers: pain or suffering caused by something at least somewhat supernatural, which could be anything from some kind of advanced technology to magic-wielding humans to an evil demon. Handy for: something painful (quite possibly cripplingly so) that doesn’t have lasting effects; showcasing antagonist’s power even at a distance; creepy or unsettling effects; causing or interacting with other types of suffering. Example: The Hunter in Ceila Friedman’s Coldfire trilogy can inflict this sort of pain, particularly in the form of nightmares. One fairly simple (but often potent) form of suffering is to have a character who’s afraid. This doesn’t necessarily have to result in any eventual injury or harm: simply having them really scared can ramp up the tension, and can potentially push them into difficult or bad decisions. Handy for: increasing tension without increasing the body count; keeping scary things just slightly off the page (often scarier! ); pushing characters into a corner; making them make a brave decision (or live with the fact they didn’t). Example: Five-year-old Jack in Emma Donoghue’s Room goes along with his mother’s plan to free them (which involves rolling him up in a rug and pretending he’s dead) despite being understandably scared. Your character’s own stupid decisions caused the Bad Thing to happen to them. Your character’s brave, heroic act caused the Bad Thing: they stood up for justice, and it go them shot / arrested / etc. Your character isn’t the one suffering (or not the only one) – someone they love is in pain. It looked like something was finally going to go right for your character … but then it all came crashing down. If, like me, you’re sometimes a bit of a wimp when it comes to letting your characters suffer … write the first draft as lightly and fluffily as you want, then pile on the suffering in subsequent rewrites. It’ll make for a stronger, more compelling novel. Every Thursday, I send out an email newsletter with an exclusive article about an aspect of writing or blogging. Have you been missing out? 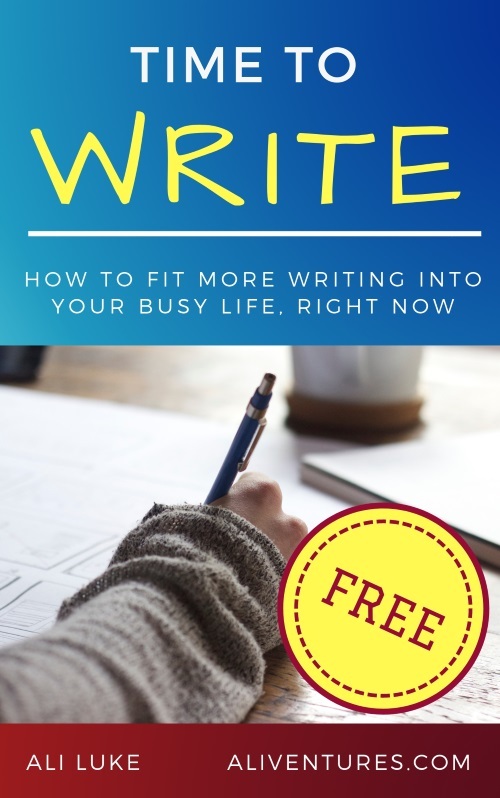 Join the newsletter today: as well as the weekly emails, you’ll receive my free mini-ebook Time to Write: How to Fit More Writing Into Your Life, Right Now. You can find out all about the newsletter, and Time to Write, here. And that’s what makes them three-dimensional, yes? And that’s what readers want to read about. Characters with depth. This should have been the top way, because it is used mostly in all the crime-solving series over and over. The script writers know it the best. Also, it is the most popular strategy for mainstream horror movies than slowly burn away. 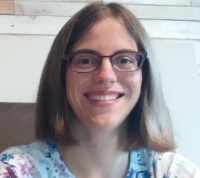 Emma’s last blog post ..What is a Nebula? At one or more points in our life, we all experience some type of loss. It could be the loss of a relationship due to a breakup or divorce, of a job or business, of a pet, of a loved one, of health or the sense of safety after a traumatic event. Whatever the tragedy, the natural response is to grieve in some form. Did I miss it or did you miss unrequited love? That can drive a plot for an entire book and envisage dreadful sufferings. Lost love is another similar. One of the variations being that having lost the love of his/her life, the protagonist is too scared to commit again. Very helpful list. 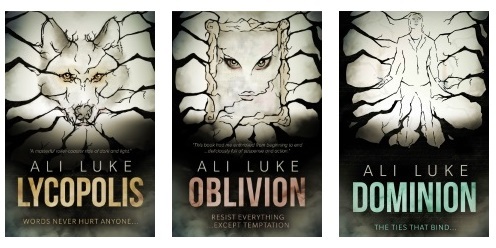 I usually make at least one character in my novels. It’s a good way to get readers to care about the character(s) and brings a hero and heroine closer together. Excellent post on character suffering – with examples. I’d add emotional suffering, like unrequited love, or a lover cheating on a character, or even a boss disapproving a character’s work.